The team at The Best of Watford are delighted that following our Little Waitrose Speedy Shopper Competition, one of our entries, Fran Kershaw, from Watford won £200 of food shopping for her and her family. Well done Fran for winning the supermarket sweep, with two minutes Fran dashed around Little Waitrose and picked up the most correct items from the pre-agreed list! 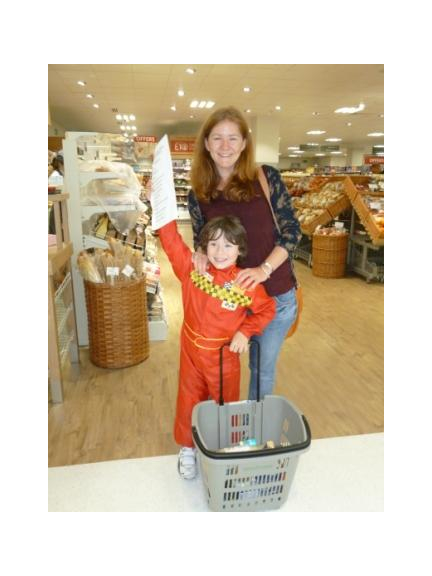 The mother of two young boys joined three other little Waitrose shoppers in Watford for the sweep, all who were supported and cheered on by friends, family and staff! Little Waitrose in John Lewis Watford opened its doors to the public in June. The shop, which is a £2 million investment has created 30 jobs, builds on the established little Waitrose format and will enable customers to pick up Waitrose products whilst shopping at the John Lewis Watford department store.